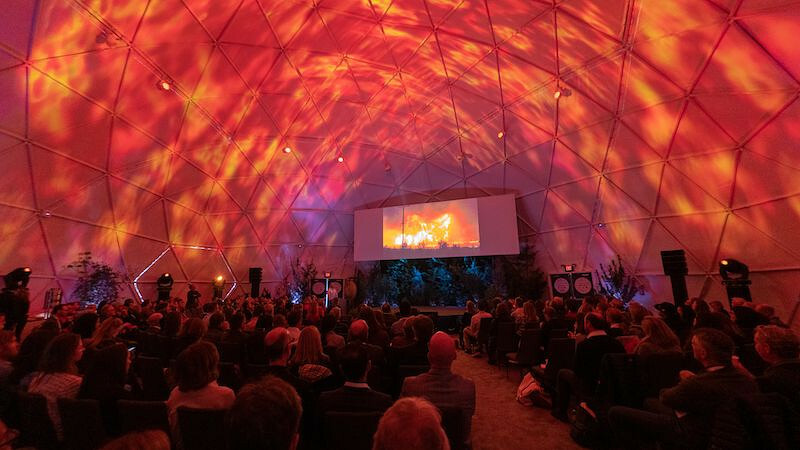 An audience of over 250 environmentalists, investors, Northern California activists, NGO leaders, policymakers, climate change experts and innovators, tribal leaders and heads of state gathered last week at the inaugural Grounded Summit — a climate change solutions summit inside a giant, geodesic dome erected for the occasion at the Jackson Family estate in Sonoma, California. The Summit was kicked off by its founder, Julia Jackson, who asserted: "I want to ask of you to be a steward of the earth and in your community. We need to be an ecosystem, we need to collaborate, and we need to move quickly. Your task? Spread the word and get grounded." The goals of the summit were to bring critical awareness to climate change, showcase real and actionable solutions, provide a launching pad for individual motivation around our own power to heal the planet; and, ultimately, to bring awareness and investment to the Grounded Foundation, which will provide funding and resources to innovative climate change solutions. The Summit featured well-known environmentalists, including visionary author Paul Hawken, Leonardo DiCaprio Foundation Executive Director Justin Winters; Stephan Nicoleau, co-founder of FullCycle, an investment firm accelerating the deployment of climate-restoring technologies; former President of Iceland, Ólafur Ragnar Grímsson; and Nemonte Nenquimo, founding member of the Ceibo Alliance — an indigenous-led Ecuadorian nonprofit comprised of members of the Kofan, Siona, Secoya and Waorani peoples, who, in partnership with Amazon Frontlines, is creating a model of indigenous resistance and international solidarity rooted in the defense of indigenous territory, cultural survival and the region’s rainforests. While the event did feature some of the usual suspects of sustainability conferences — such as harping on the doom and gloom of it all, which unfortunately persisted and increased in intensity over the two days; as well as the recognition, yet again, that corporations hold much of the responsibility around issues contributing to climate change — for the most part, the summit served as a showcase for some beautiful solutions and collaborations, especially in the Innovative Solutions panels, which capped the second day. Case in point: Nikita Zimov, aka the “Siberian Scientist Cowboy” and Director of Pleistocene Park, spends his time driving herd animals thousands of miles back to Northern Siberia in an attempt to restore the mammoth steppe ecosystem and ultimately stop the thawing of permafrost — which, if thawed completely, would unlock huge carbon stocks that far exceed the amount of excess carbon humanity has emitted. 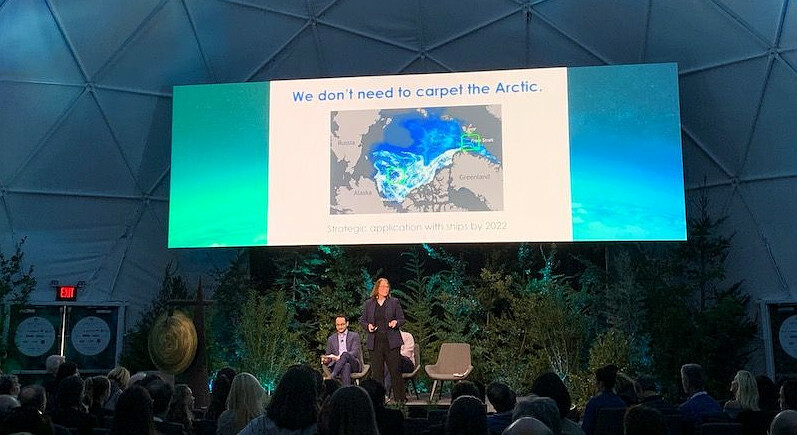 Onstage with Zimov was Dr. Leslie Field, founder and CTO of Ice911, who has spent the last 12 years doing R&D in the area of restoring Arctic sea ice — her solution involves covering key sections of ice with highly reflective glass beads that reflect sunlight and its heat, which stops melting and allows the real ice to form and restore itself. As someone who also had my “a-ha!” moment while watching Al Gore’s An Inconvenient Truth back in 2006, I was awestruck by the fact that the film had catalyzed Dr. Field’s innovation process, which ultimately became the Ice911 solution. The summit provided a place to not only deepen our knowledge of these impacts, but to find solutions to them — both practical and aspirational — injecting the audience with a hesitant amount of hope for the 12 years we apparently have to reverse the increasingly devastating effects of climate change. The Foundation now exists to vet solutions in order to accelerate meaningful partnerships with solutions providers, whether it be through on-the-ground tactics and network-building, such as the harrowing work of Amazon Frontlines and the Ceibo Alliance, with partnership from the Leonardo DiCaprio Foundation; or the inspiring research and message from research ecologist Dr. Paul Hessburg, Sr. on how to end the Era of Megafires through a cohesive wildfire management strategy. At the conclusion, the audience was challenged to take a moment to reflect and envision what the world would look like if we achieved what we set out to do. As Brent Constantz, founder and CEO of Blue Planet — another impressive solution provider that captures CO2 and turns it into carbonate rocks, the principle component of concrete — challenged us, “Get intentional about using your voice toward this cause.” Even for this deep-greenie, this statement lit a deeply needed flame to realign my own purpose in my work and life. This was my key takeaway from the Grounded Summit. 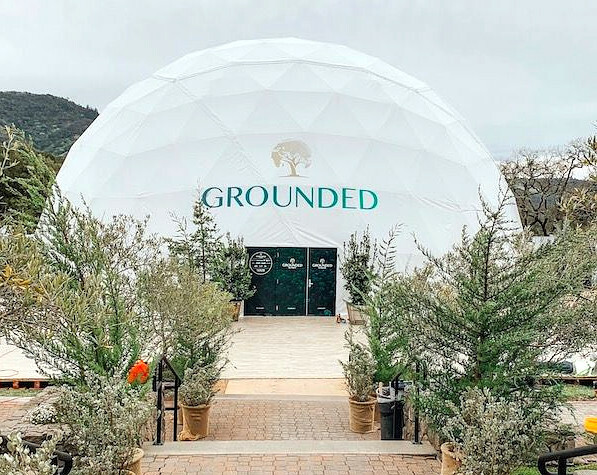 The second Grounded Summit is planned for March 19-20, 2020.